ALBANY, N.Y. – Fort Orange Brewing (“Fort Orange”), Albany’s newest brewery in the city’s burgeoning Warehouse District, opened its doors to the public at 450 North Pearl Street. Fort Orange will be the fifth craft beverage producer currently operating in the City of Albany and the third brewery. Co-founders John Westcott, Jim Eaton, and Craig Johnson began home brewing as a hobby. They enjoyed how it brought friends and family together. The push to get Fort Orange Brewing up and running did not begin until they brewed and shared an IPA at a summer pool party, which is now their signature Fort Orange IPA. After that they knew they had made something that needed to be shared. “Brewing our own beer started out as a fun way to spend our weekends and evenings, but quickly turned into an obsession. We have spent countless hours perfecting our craft and have been looking forward to sharing all of our hard work with Albany,” saidJim Eaton, chief marketing officer, Fort Orange Brewing. Westcott, Eaton, and Johnson each bring something different to Fort Orange with their diverse backgrounds and experiences. Westcott was in a band, Eaton runs marathons and Johnson drove a tank. Two things they all certainly have in common are their passion and drive to make flavorful and delicious beer. “GettingFort Orange Brewing up and running has been the most exciting, albeit exhausting ventures and we have loved every minute of it. Here we are, three friends doing what we love, and sharing it with the world. 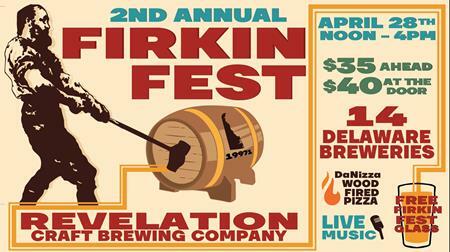 What could be better?” said Westcott, chief executive officer, Fort Orange Brewing. The co-founders and fathers all recognize that they would not be able to pursue this dream without the support of their families. As a result they made sure their taproom is a family friendly environment. “We are so grateful for the encouragement we received from our families and friends. None of this would be possible without their help and we can’t wait to share a beer with everyone over at the brewery,” said Craig Johnson, chief operating officer, Fort Orange Brewing. Fort Orange Brewing has found inspiration in Albany that is evident in the shape of their logo and the names of their beers. The logo mimics the design of the original FortOrange, which was the first permanent Dutch settlement in Albany. They will debut their Fort Orange IPA, Nipper IPA and Whistle Stopper Red. “Albany has a rich tradition of breweries and distilleries. I am sure Fort OrangeBrewing will build upon this history and I applaud the proprietors for their success and welcome them to Albany,” said State Senator Neil D. Breslin. “It is great to see another exciting new business in the warehouse district of Albany. 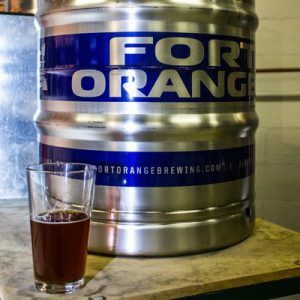 Fort OrangeBrewing’s connection of history with the current growth of small breweries is a win for both our district and the state,” said Assembly member John T. McDonald III. “The growth of the craft beverage industry in the Capital Region is something for everyone to be excited about, combining Albany’s brewing heritage with a booming new industry. The opening of Fort Orange Brewing marks yet another good chapter in what has become a multibillion-dollar craft beverage industry helping to revitalize upstate New York. Congratulations to the team at Fort Orange and best wishes for a bright future in this truly home-grown endeavor!,” said Assembly member Patricia A. Fahy. For more information about Fort Orange Brewing, visit fortorangebrewing.com.